There’s something intense going on here, and I fear it’s working on a level that is beyond my comprehension. The key, as the title alludes to, is the stranger. The stranger is the story’s audience. I can’t think of another story that uses this technique. The narrator is in control. His tone is one of intelligence and assuredness. But the stranger seems to drive the narrative somehow. He is the reason for the story being told. What exactly that means in relation to Jesus and the resurrection and the possible return? I have nothing more than feeble guesses. But I know it’s an interesting way to tell a story. 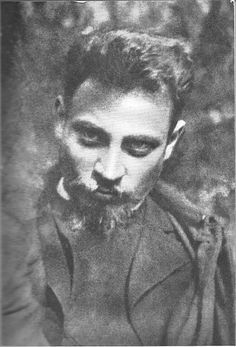 And that’s quite a trick on Rilke’s part. My guest could not contain a smile.